(b. 1959) – a writer and poet; she was born on Kibbutz Kinneret. She is said to be the most frequently translated Israeli writer. Four of her books have been published in Poland by Wydawnictwo W.A.B., including the trilogy: Love Life, Husband and Wife and Thera and The Remains of Love. The protagonists of her romantic novels deal with a painful past, look for happiness in relations with other people, but bonds between them often turn out to be impossible to maintain when they are put to a test. Her lyrical works are closely connected with Israel. 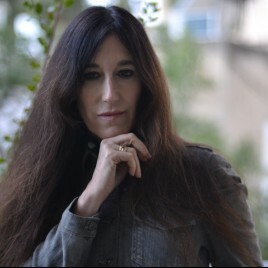 Shalev has received many literary awards, including the ACUM Prize (three times: 1997, 2003, 2005), the Israeli Golden Book Prize, the French Prix Femina (2002) and Amphi Award (2003). In 2004, Shalev was injured in a suicide bomb attack.